The commenters on this blog are AMAZING!! And I’m so excited to be able to give back some generosity for the time you take to visit with me each week. Since the tech votes were calculated from ALL the comments, I’ll ask the 15 of you to submit your final votes for LinkedIn vs. Twitter tricks (I’ve heard a lot of mention about Twitter Lists). Whatever you vote for, that’s what we’ll do. This is your webinar. Note: I believe, if we pick Twitter, that I can find a few minutes for tools like TweetDeck and/or Social Oomph. Some people asked me NOT to enter them in the webinar so I did not add those names to the hat. I also picked a few extra in case any of you need to bow out from doing a webinar on May 21st (that’s this coming Saturday). I’ll just put your slip of paper back in the hat for the June webinar, no harm-no foul. If you prefer to send email, it is jennyhansensmail@aol.com. LinkedIn Tips for CPAs – I’m working for CPA’s right now…what can I say. It’s a really good blog! See you tomorrow for an in-depth look at a very cool LinkedIn feature! This entry was posted in Contest, More Cowbell, Technology Fun and tagged Amy Kennedy, Amy Shojai, Angela McGill, Bridgette Booth, Contest, Ellie Ann, Facebook, Jenny Hansen, Jill Kemerer, Jodi Janz, Jolina Petersheim, K.B. Owen, Karen Pokras Toz, Kristen Lamb, Let's Meet Up, Let's Meet Up (for Training) Contest, LinkedIn, Marcia Quinn Noren, Michelle V. Rafter, More Cowbell, Patrick Thunstrom, Raelyn Barclay, Sandra Hunter, Sharon Louise, Shellie Sakai, technology for writers, Tiffany A White, Tweet Deck, Twitter. Bookmark the permalink. 19 Responses to Let’s Meet Up (for Training) Contest – May Winners! This is my 2nd win of something in the last month! How exciting! I pick linked in…I have an account but don’t really use it. The webinar is this Saturday the 21st? What time? I may not be able to make it…. Wow! I won! Thanks Jenny. I am into learning all I can about LinkedIn and Twitter. However if I have to pick one I pick LinkedIn because I know nothing about that one. However I honestly am tickled just to learn about either. Your blog is really great! And helpful! 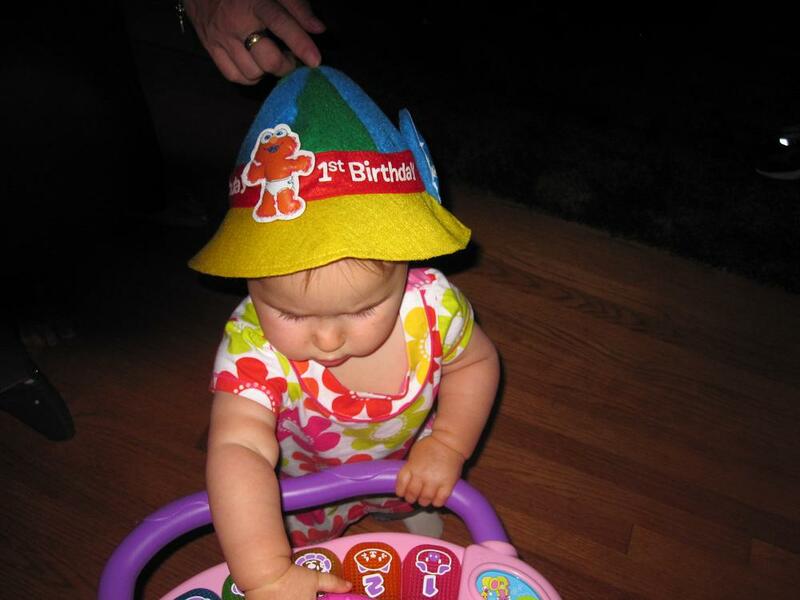 And fun – I love the hat! Thank you, very much for the link to the TweetDeck Learning Guide! I hope they offer value to all your readers who use TweetDeck. I’ll be referencing it again, I’m sure. Welcome to More Cowbell!! Thanks, Jenny! I’m thrilled to have won your webinar. It sounds really cool and helpful. I always envy you tech-savvy types, LOL. My vote would be for the twitter tips. How long is the webinar, and around what time? Saturdays are soccer games, so I’m keeping my fingers crossed that I can make it! A vote for Twitter it is! We can work the time out, you know…don’t fret. I think I’m going to email all of you to make life easier. Wow…Thanks. What all is involved with the webinar? I guess I’d pick LinkedIn as I know nothing about it. Ref: What tricks have you found work best for you to stay organized? Still trying to figure it out, LOL, some days are better than others. Today for example is turning into a complete wash! For a webinar, I send you a link and you click to download GoToMeeting (takes 2-5 mins). At the appointed time you call the number and we have a big conference call while we watch what is going on at the computer. I was so excited to see my name! Yay! My vote would be twitter (and, yes, the lists! ), but I’m happy learning about LinkedIn — just getting started there. So glad I found this blog…everyone needs more cowbell. Thanks, Amy! LOL on the “everyone needs more cowbell.” I was at work when that one came into my email and i laughed so hard! Hey, Jenny. Thanks! I don’t know anything about LinkedIn so that would be cool to learn about but I wouldn’t mind some help with Facebook either. Looking forward to the webinar. Just let me know a day and time. I’ve had a few people request Friday instead of Saturday so I think i’m going to have to send out an email to do a final vote. This webinar is about the 15 of you so we’ll do it whenever it’s convenient. I WON! Holy cow! I never win! I am so happy!!!! Whatever the group decides is fine with me. I have no clue what LinkedIn is. And twitter is still a confused muddle. The vote seems to be leaning toward LinkedIn, which is a professional site – lots for writers on it but you do have to do the work to get your profile all set up. BTW, on the Twitter from your phone front, did you go find the “Twitter Phone Home” blog?? Did it help? Jenny, a slightly off-topic question (I know this won’t be a webinar topic choice). Do you have any previous posts with advice about WordPress? I switched from Blogger about 2 months ago, and there are still features of my template I don’t like, and haven’t been able to find widgets/plugins to get around them. There is a blog called “Help For Those Late Night Fights with your Blog” but it doesn’t cover the widgets per se. I’ll think of something but I’ll bet it wouldn’t take long to get you on the right track.